photographs through the medium of the short story, to form a “photograph-short story album”. Güler thinks that his early period short stories have an important role in his ability to “capture meaningful moments and combine them in a narrative”, and describes these 13 short stories as “a kind of photography”. 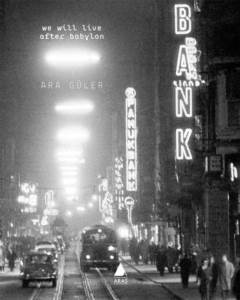 There is no doubt that Güler is a “man of the visual world” and We Will Live After Babylon is a solid proof of that.